Summer’s been here for some time now, and The Excitements have been working it out in the sweaty bandstands all over. 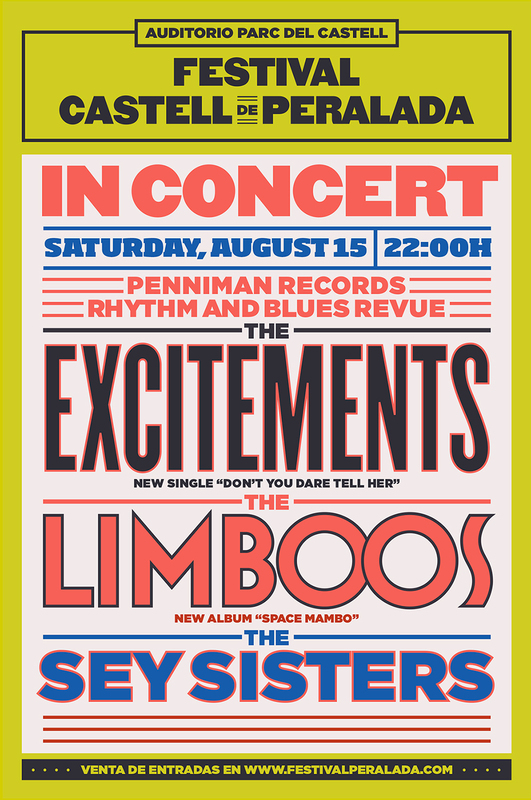 In the midst of all the band’s dates, we’re proud to announce a further PENNIMAN R&B REVUE date, and a special one indeed. We are presenting, besides the well known THE LIMBOOS and ourselves, an upcoming skyrocketing gospel group Penniman Records has been collaborating with, the mighty SEY SISTERS! It will be a triple feature you will not want to miss, at the famous FESTIVAL CASTELL DE PERALADA, in Girona, Spain. This will be on Saturday, August 15th 2015. You can get advance tickets for that crazy night here.